Today we will begin a new series in which we will go beyond the standard book review and take a closer look at one book every month or two (depending on the length and quality of the book). I plan to devote one or two days a week to this topic. 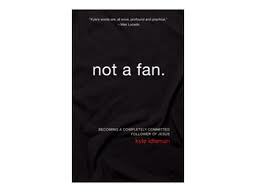 The first book I have chosen is the very popular book Not a Fan by Kyle Idleman. I read this book last year and it is without a doubt one of my favorite non-fiction books of all time. Let me warn you though, Kyle’s straight forward, no-nonsense approach is not for everyone. If you are looking for a book that is all roses and sunshine, this book is not for you. If you are someone who gets easily offended or lacks a sense of humor, you may be better off reading another book. For those of you looking for motivation, inspiration, and straight forward truth that will lead you to a closer relationship with Jesus Christ, you will find no better book. However, in short, the premise of the book is based on the question “are you a fan or a follower of Jesus Christ”. Many of us “Christians” would be quick to answer “yes” to this question; many of us honestly believe the answer is “yes”, but many of us are only deceiving our selves. If you have ever had to give/write a lesson, sermon, blog post, or whatever, you know it is not always easy to come up with a message that is going to hit home with your audience. Mr. Idleman knows that exact feeling and he shares how he struggled one Easter season to come up with an Easter message for those “Creastors “(visitors who come to church on Easter and Christmas)that would prompt them to return on a “normal” Sunday. Shocking, I know, but is it true? Let’s take a look at one of Jesus’ messages to one of his largest crowds. As we can see here Jesus has become Mr. Popularity. Thousands of people have come to see him as they have heard about his miraculous healings and teachings. 16 Now when evening came, His disciples went down to the sea, 17 got into the boat, and went over the sea toward Capernaum. And it was already dark, and Jesus had not come to them. 18 Then the sea arose because a great wind was blowing. 19 So when they had rowed about three or four miles,[b] they saw Jesus walking on the sea and drawing near the boat; and they were afraid. 20 But He said to them, “It is I; do not be afraid.” 21 Then they willingly received Him into the boat, and immediately the boat was at the land where they were going. The massive crowd was so impressed with what Jesus had done with the bread and fish, they camped out overnight. As Kyle Idleman says, these must have been some big time fans of Jesus Christ. I mean who doesn’t like devoted followers? Kyle goes on to paint a picture of what he believes took place on that next morning and while it isn’t one I ever heard in Sunday School, I am inclined to agree with his interpretation. 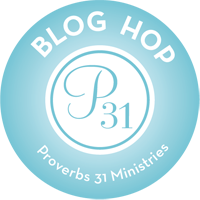 You would think that Jesus would be thrilled to have so many followers, but once again, Jesus is able to see the hearts of men and not just outward appearances and actions. It is easy for us to criticize this massive crowd and their selfish desires, but are we really that different? How many of us follow Jesus because of what Jesus does for us? How many of us are strong and faithful during the good times but quiet and distance during hard times? And this is just the prologue, people! If the prologue is this good, kind of makes you wonder just how great the book is going to be! Excellent, Missy! Looking forward to the next installment.